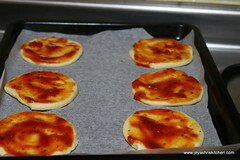 Pizza , it is one of the recipe in my to do list for a long time. I tried Tortilla pizza , but wanted to make this pizza with home made pizza dough . 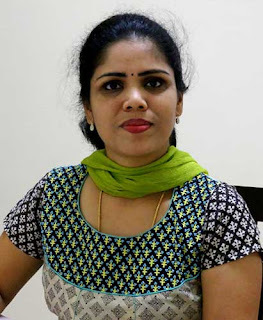 Finally i made it last week for my kids and surprised them after the came back from school. 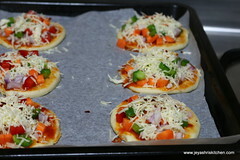 I made it into mini pizza so that it will be easy for me to share the pizza among my 2 kids! 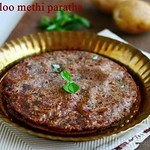 Over to the recipe of vegetarian pizza with home made pizza dough. 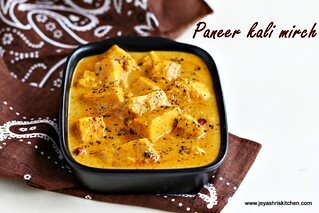 check out my Tandoori paneer pizza recipe. 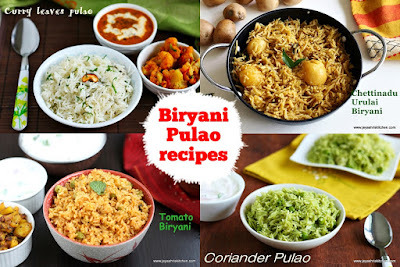 *I used onions, green capsicum, red bell peppers and carrots. 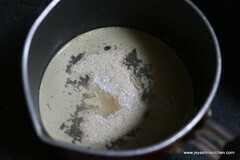 Add the yeast, sugar and salt in luke warm . Let this sit for ten minutes and stir nicely. 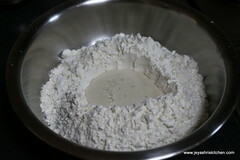 In a wide bowl add the flour and make a dent. 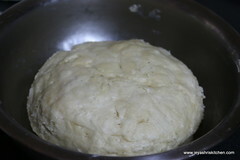 Pour in the yeast mixture and knead it into a smooth dough. 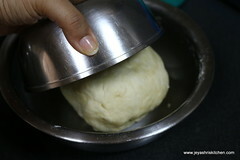 Add oil while kneading. 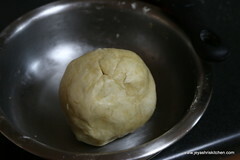 You may need 1-2 tblsp extra water to knead the dough. Cover with a wet damp cloth or with a vessel and keep it aside for an hour. The dough must have doubled in size by this time. Mean while keep the veggies ready. 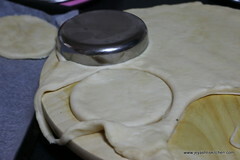 Punch down the dough and roll it on a floured surface. 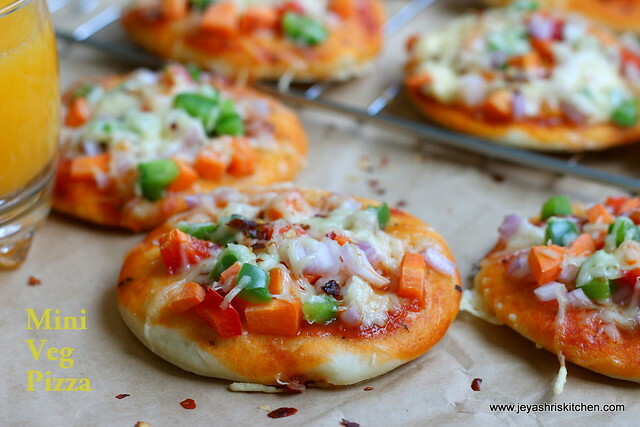 With a sharp lid or cookie cutter, cut it down into mini pizzas. If you want to continue with the regular big pizza ,you can skip this step. 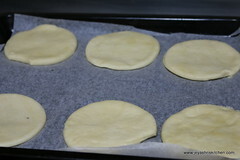 Place the cut pizza base in a baking tray lined with parchment paper. Spread pasta sauce over each slice. sprinkle cheese on all slices.Adding cheese at this stage is optional. Arrange the veggies on the top. Mix little bit of salt to the veggies. Add cheese on the top. Actually i added bit less. 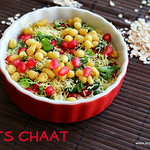 As the grated cheese packet which i used was little bit small and i wanted to make it equally distributed for all pizza. 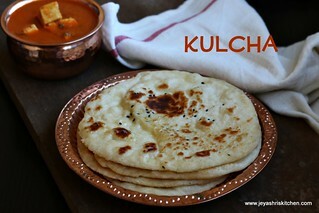 Sprinkle chilli flakes and oregano to this. 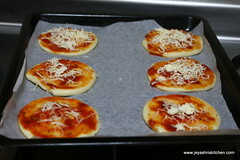 Bake this in a the Oven for 10 to 12 minutes or till the cheese melts at 170 degree C.
Pizzas are ready for serving. I used carrots, capsicums and onions for toppings. 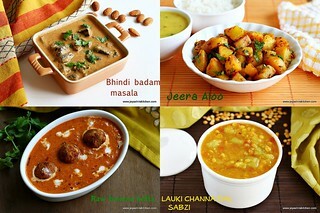 You can use any veggie of your choice. 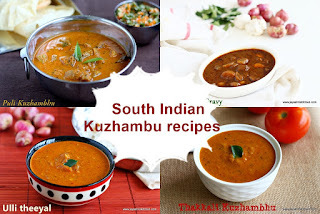 Olives, mushrooms and even only tomatoes and cheese can be used. You can replace half cup of all purpose flour with whole wheat flour. Don't make it 3/4 + 3/4. It may be thick and dry. Always ensure the water you soak the yeast is luke warm. If it is too hot the yeast will not rise , if it is too cold also it won't raise. Can i use baking soda instead of yeast ? if so will it of the same quantity ? 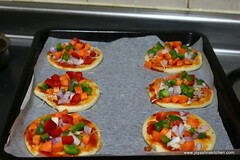 So colorful and cute, your kids would have loved it..
Can you suggest a method to bake the pizza without oven? Do we get ready made yeast? if yes any precautions before buying? 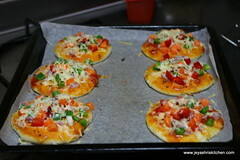 Like the mini Pizza Idea.. Guess it work out well for parties. Pizzas look nice. 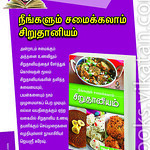 But yeast quantity is quite high for quantity of flour. Just 1 tap yeast gives good results. Adding 1 tbsp milk powder enhances taste of pizza. Please try it. 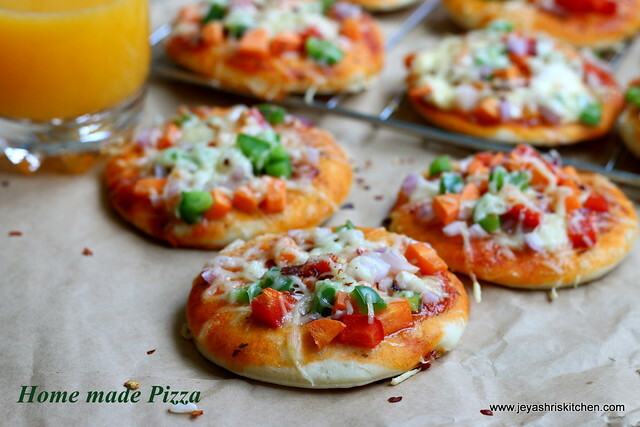 Lovely and cute looking pizzas.